Masada is built atop a plateau on a mountain. Herod the Great built 2 palaces here for his own use between 31 and 37 B.C. There is a snake path that the Romans built and eventually used to reach Masada and eventually breach the wall with a battering ram and conquer it. 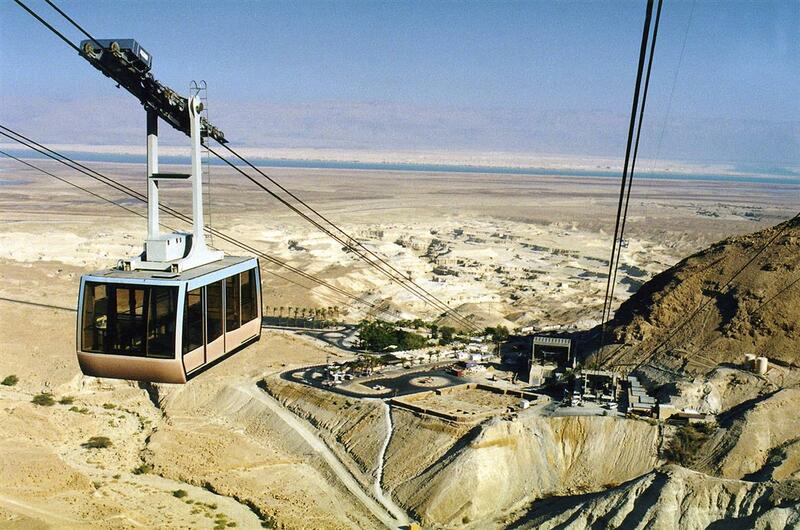 It took them about 15,000 troops to overpower the resistance of the Jewish rebels on Masada. 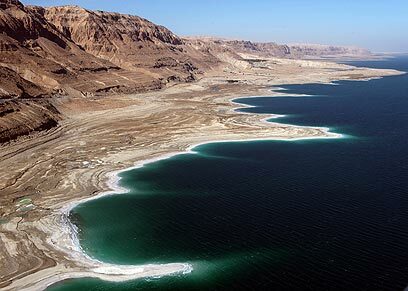 Dead Sea where no living thing can survive in its salty waters. The lowest place on Earth, it is the deepest lake on Earth with a depth of 304 meters. The waters of the Dead Sea are said to cure most skin ailments, as the water is rich in minerals. 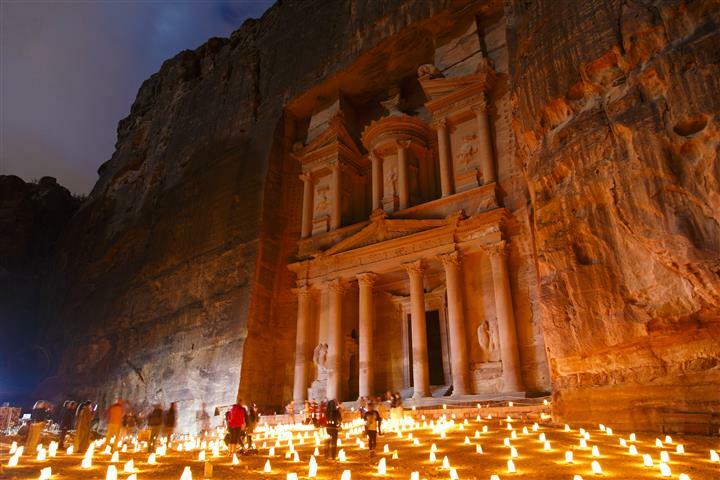 Petra is one of the seven wonders of the world, and located in the middle of the desert. 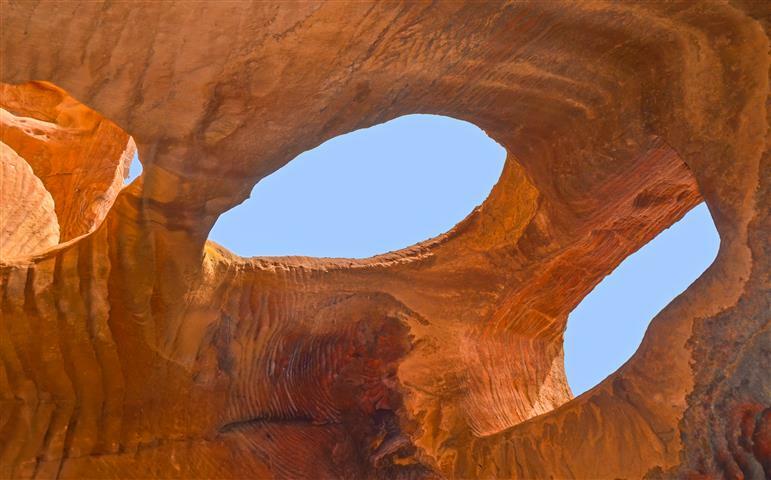 Petra was once a very prosperous city that was run by the Nabateans. They built cisterns to hold the rainwater, and in times of drought sold the water to travelers and tradesmen. There is plenty to see in Petra, the Treasury, the temples, the caves, the cisterns, the facades, the tombs, and the Roman amphitheater. In the morning wake up to the sunshine, and take a walk to the beach, or go to the spa. This is a free day and includes the entrance to the spa, so take advantage of it. In the late afternoon your driver will pick you up for the drive to Eilat. Check in to your hotel, and you will have a free evening in Eilat. There are plenty of restaurants, shopping malls, and pubs to visit. In the morning after breakfast at 08:15 a driver will pick you up from your hotel and drive you to the border for your tour to Petra. Enter Petra through the Siq, for your first look at the Treasury. 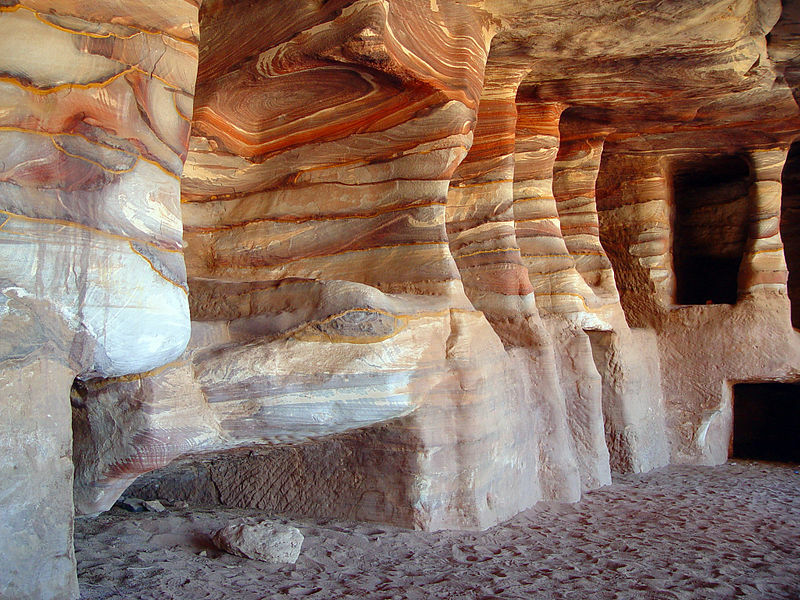 Continue to tour Petra with your guide for about 4 to 5 hours, and then go for lunch. After lunch start the drive back to the border and your hotel or the airport in Eilat. Arrival in Eilat about 19:00 p.m. Meals which are not listed as included. Other languages are available for an extra fee. We recommend that you have cash money available for tips and border fees. Single supplement $60, and high season $70. Visa. We can make it for you at the border for a fee of $75. Voucher and visa/tax/tip money in cash only (payable in U.S. dollars, Euro, Pound Sterling or Israeli Sheckel). i have been in this tour and it was amazing thank you so much for all .